If you’re looking for simple and straightforward bonuses to earn on top of a great bank, you’re in the right place! 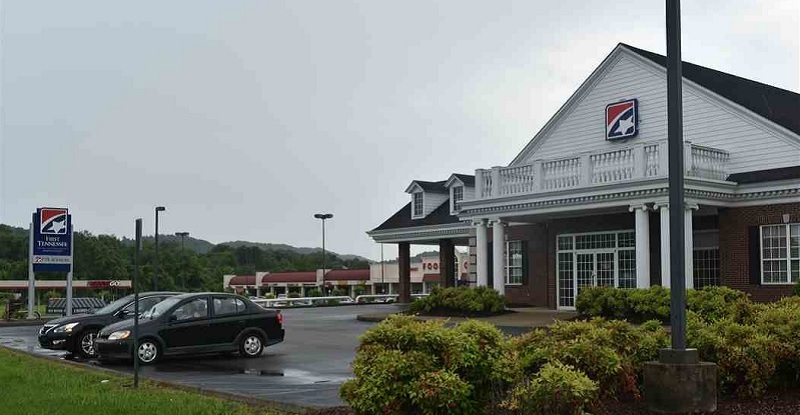 In this review, we present to you a full listing of First Tennessee Bank Deals of $100, $150, $200, $250, $300, $400 & $500 promotions. These bonuses are easy to qualify for with simple requirements. To qualify, simply open the eligible account and meet simple requirements like simply opening a checking/savings account, opening an account with a promo code, or making that minimum opening deposit. See below for our list of First Tennessee Bank Deals. Be sure to check back with BankDealGuy for the best bank deals! First Tennessee Bank is available in FL, MS, NC, SC, TN, TX, VA with over 180 branches. First Tennessee Bank is offering business owners residing in AL, FL, KY, GA, MS, NC, SC, TN, TX, and VA a chance to earn a $50 bonus for opening up a new new Money Market Savings Account using promo code SVSC50 and meeting certain requirements. Early Termination Fees: You must keep the account open for 6 months, otherwise the bonus will be reverted back. Available to residents of FL, MS, NC, SC, TN, TX, VA, you have a chance to earn a $75 Visa Reward Card bonus for opening up a new checking account through a referral of a current employee of First Tennessee Bank and meeting certain requirements. Early Termination Fees: Must keep account open for at least 180 days, otherwise bonus can be reverted back. With the First Tennessee Checking Account, you can earn a $100 sign-up bonus. 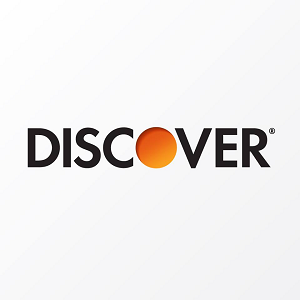 Open a new Checking Account promo code LOCATE and a minimum opening deposit of $100. With the First Tennessee Checking Account, you can earn a $150 sign-up bonus. 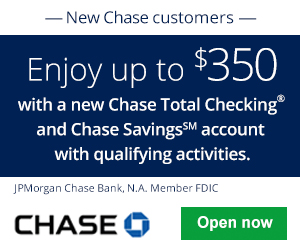 Open a new Express Checking Account promo code OFB150 and a minimum opening deposit of $300. With the First Tennessee BizEssentials Checking and/or Savings Account, you can earn a $150 sign-up bonus. Once you open your account, simply fund it with $500 and maintain the account in good standing! Be sure to use the promo codes when applying: CKSMBS (Checking); SMBSSV (Savings). With the First Tennessee Premier Checking & Money Market Savings Account, you can earn a $200 sign-up bonus. Open a Premier Checking using promo code SWT150 and a Money Market Savings Account using promo code SVSC50. First Tennessee Bank is offering business owners residing in FL, MS, NC, SC, TN, TX, and VA a chance to earn a $300 bonus for opening up a new BizEssentials Standard Checking Account using promo code BZD300 and meeting certain requirements. First Tennessee Bank is offering business owners residing in FL, MS, NC, SC, TN, TX, and VA a chance to earn a $450 bonus for opening up a new BizEssentials Standard Checking Account using promo code BZD300 and meeting certain requirements. Premier Checking Account: $12 monthly fee, but it can be waived with a $5,000 minimum balance. Money Market Account: No monthly service charge if account holder also has a qualifying checking account, or if total combined balance in First Tennessee accounts is at least $5,000. Otherwise, a $9.00 monthly fee will be assessed.